The Toronto Centre for the Arts has created a unique and exciting new indie showcase series called, Bare Bones and Up Front. The series started on February 19 and will continue till its last showcase on April 9. I had the honour of attending the March 26 showcase featuring the amazing Patrick Ballantyne and Meredith Shaw. I was really excited when I first heard of this series in February, and am glad to have seen at least one show in the series before its closing. This intimate and interactive show is a true showcase of music. One of the things that I loved was hearing the stories behind the songs that we just heard or were about to hear. These candid stories brought about lots of laughs and made the experience more real. This is what makes the series unique: we get to see a side of music and song writing that the audience rarely gets to see. The local artists that The Centre showcases truly are genuine to their craft. They love music for the love of it, and display their affection and passion for their craft. I do commend the creators of the series for giving local, indie artists a chance to play their music in a beautiful gallery space, with fantastic sound. During intermission I heard guests saying that, “shows like these are needed in the city”. And I agree for a few reasons. The first reason : It’s nice to see that you don’t have to be a big shot from Hollywood to write and enjoy awesome music – it can be found right under our noses. As a performer, trying to figure out my place in the music industry, it is very exciting to see that as long as you have passion and drive, you can make your goals a reality. The second reason: getting to hear real voices, unaltered, and presented in a basic way. We live in an auto tuned world where music is repetitive, meaningless, and just plain dumb. It really becomes a treat to just hear good voices and, awesome lyrics. Patrick Ballantyne and Meredith Shaw themselves were great! The two of them worked together as a team to complete the show experience. 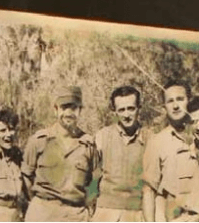 They were funny, witty, and genuine. The music they performed was folksy and poppy, mixed with sounds from the worlds of country and blues music. What’s awesome is that every week, there are two new artists, meaning a whole new set of sounds and genres of music. 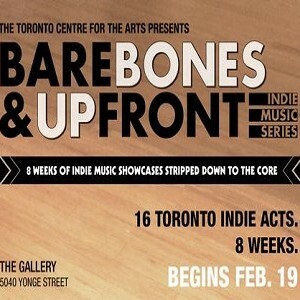 There are two more Bare Bones showcases, which if you are a fan of indie music, are not to be missed: MELANIE BRULÉE and JULIAN TAYLOR On April 2 (http://www.tocentre.com/gallery/barebones7) and BLAIR PACKHAM and LINDY on April 9 (http://www.tocentre.com/gallery/barebones8).